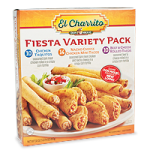 The perfect Mexican appetizers for any occasion, DON MIGUEL® Empanadas and EL CHARRITO® Fiesta Variety Pack all come generously stuffed with freshly prepared ingredients and authentic spices. Each makes a great after-school snack for kids or an easy, convenient and small meal for the whole family. 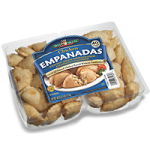 Find them in the deli and frozen food sections of your local grocery or club store.